Carbo Oil is a supplier and manufacturer of High Performance Automotive and Industrial Lubricants, hereunder Engine Oil, Brake Fluids, Gear Oils, MC motor oils, Marine Oils, Hydraulics and Industrial oils, as well as other chemistry related products from Germany. Carbo Oil is a registered Trademark. 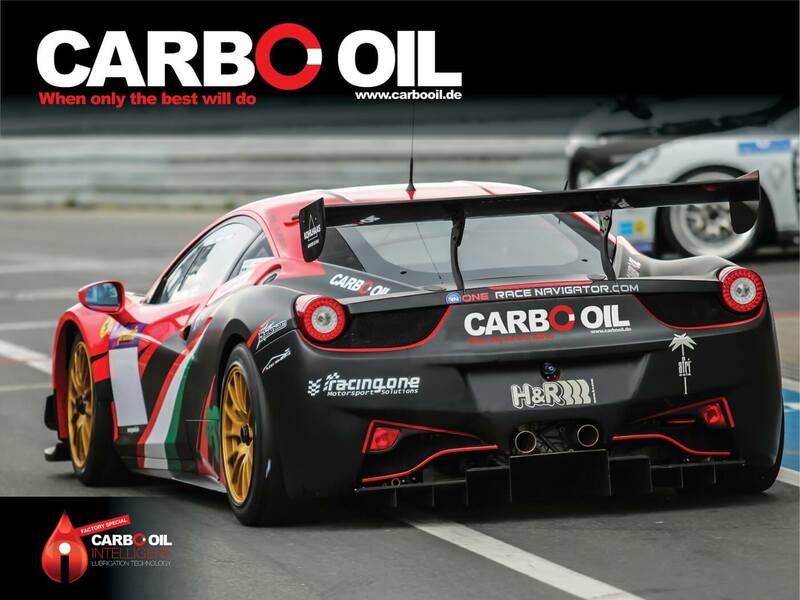 Carbo Oil as a company has it’s origin in BSP Bremssystemprodukte GmbH, with it’s main office in Wiesemscheid at Nurburgring Germany. BSP has 25 years experience within the field of Performance Brake Systems for Automotive, Transport and Industry. As an example BSP manufacture in house brake systems for large Kranes, and other industry installations as well as brake discs and pads for automotive. BSP is especially known for their Racing Brake Pads and Discs CarboPad (Registered Trademark). Carbo Oil is first and foremost a five star quality lubricant that gives our customers, the world over, the best possible conditions for doing great business in the field, with a fantastic product at the best possible price. Carbo Oil aims for 100% consumer and customer satisfaction, regardless of what challenge the lubricants are facing on a day to day basis -in general use. Carbo Oil’s main office is in Germany, but designs, research & development, as well as production -is also done elsewhere. Outstanding Automotive and Industrial Lubricants and other chemistry related products supplied worldwide -to happy customers. When you are looking for quality and maximum performance. When you are looking to deliver the best lubricants possible to your customers. When you seek a secure and dependable supplier you can trust. Then you choose Carbo Oil. It is the natural, and intelligent choice for your business. With more than 25 years of experience in the High Performance automotive sector, supplying numerous racing teams, we seek perfection for all the products we supply, and in all that we do. Our products are developed with one aim only: To satisfy beyond the most demanding expectations under all conditions – no matter how tough! Production & manufacturing are always done to the highest possible standards, with the lowest possible impact for the environment!